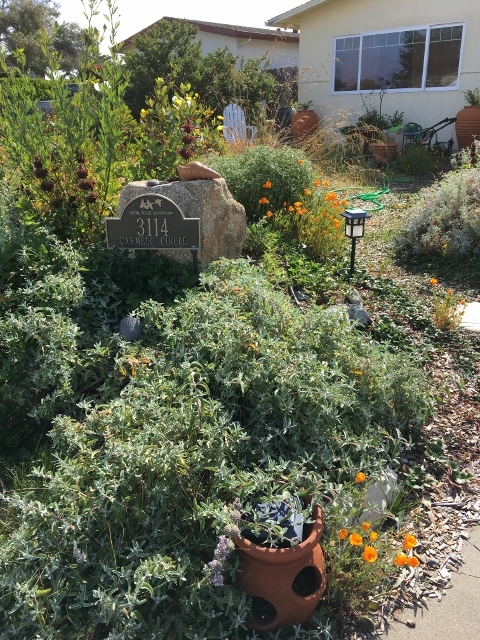 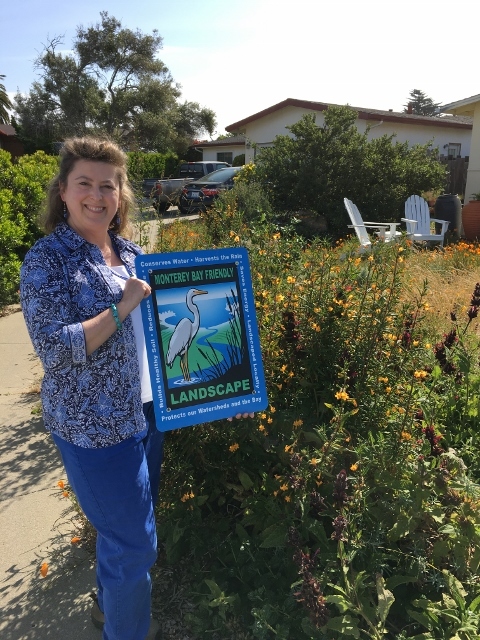 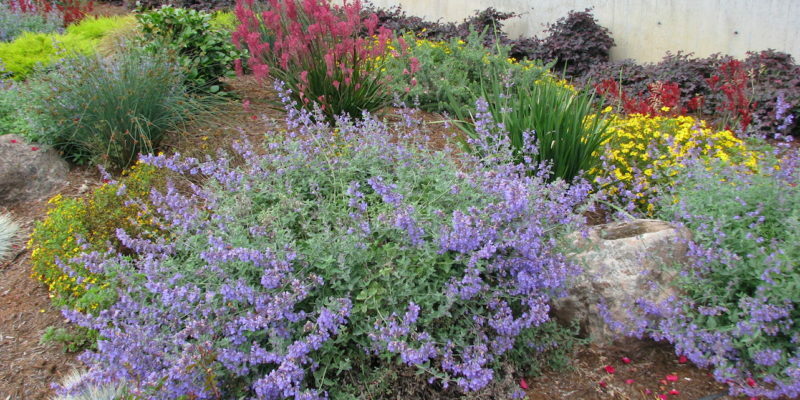 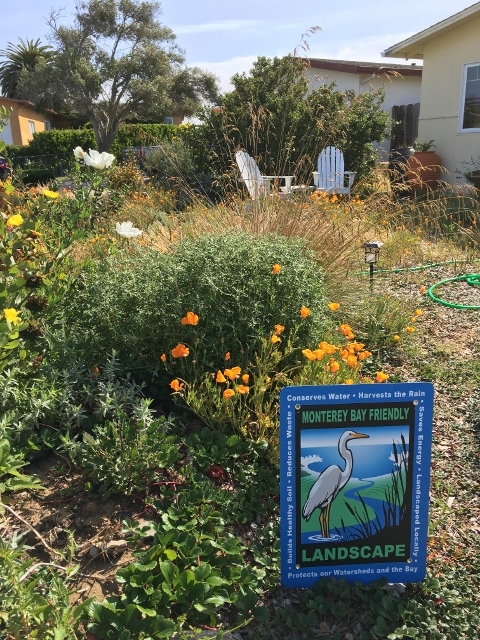 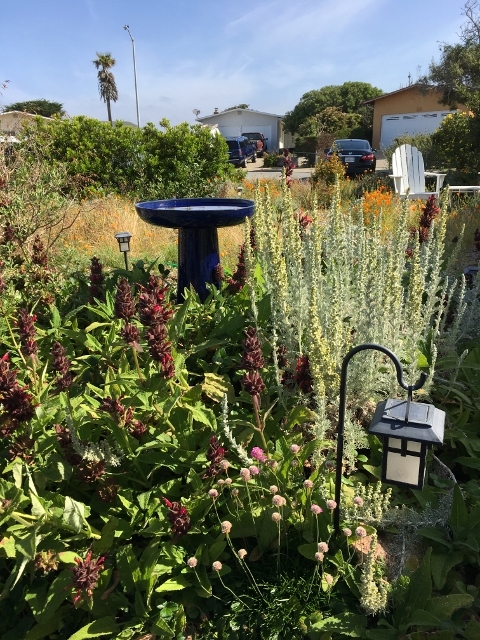 Proud member of the Monterey Bay Friendly Landscaping Program. 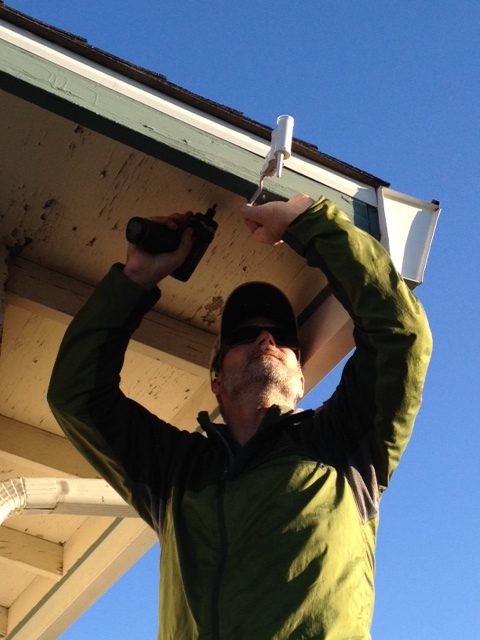 Installing sensor for the weather based irrigation controller. 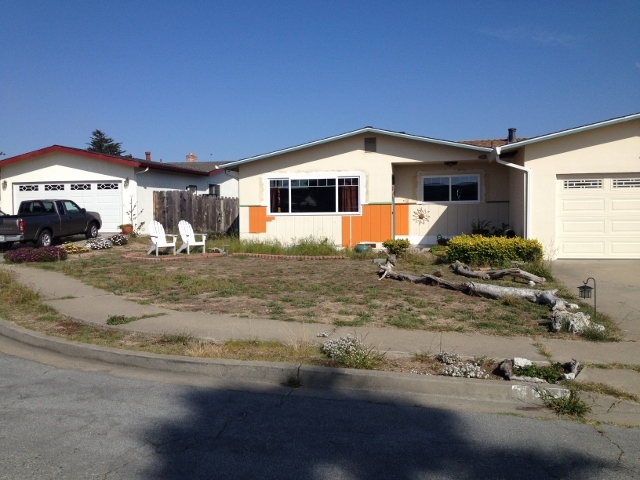 1017 square feet of lawn before the Monterey Bay Friendly re-design. 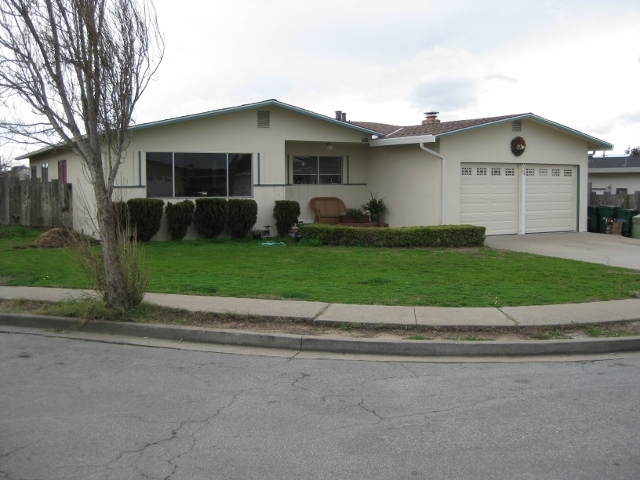 Front view before the Monterey Bay Friendly re-design. 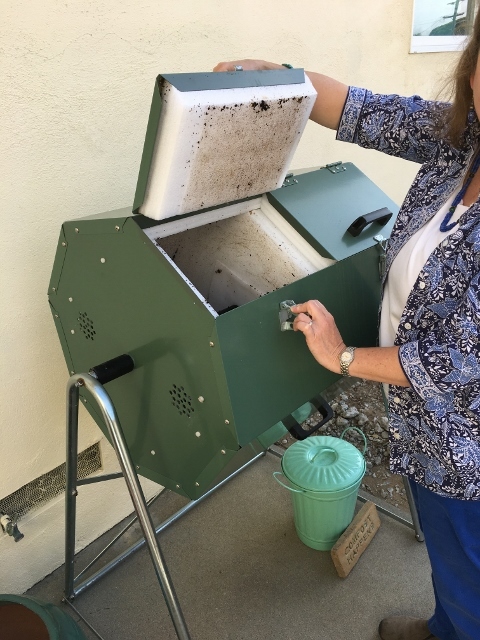 Creating compost in this tumbler to provide garden with rich nutrients. 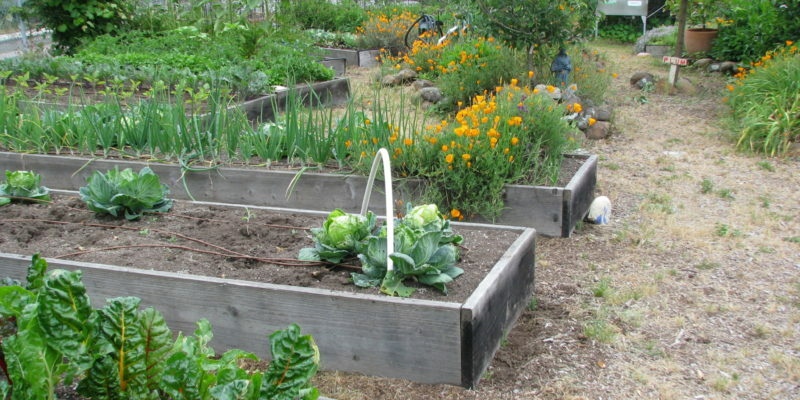 incorporating flowers in the vegetable garden helps to attract pollinators which ensure the production of their fruit trees. 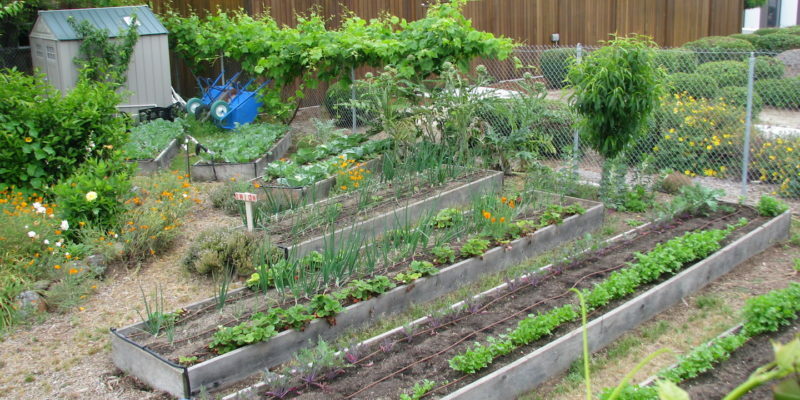 The hospital has a biodiverse garden which provides food for both the cafeteria and near by assisted living homes. 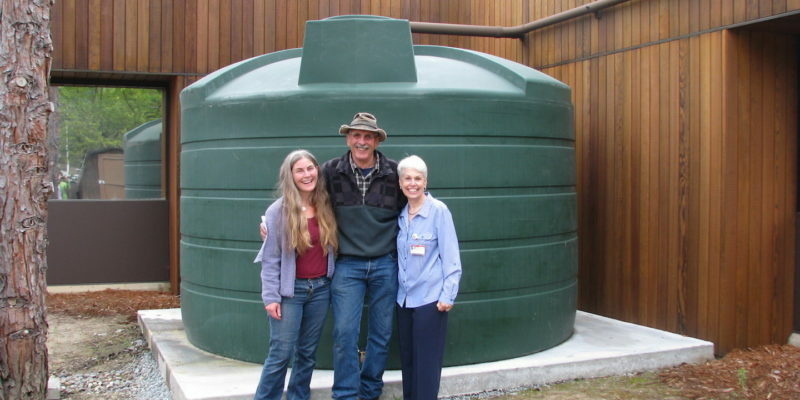 Rainwater barrel at the Dominican Hospital featuring Sister Mary Ellen and Dave. 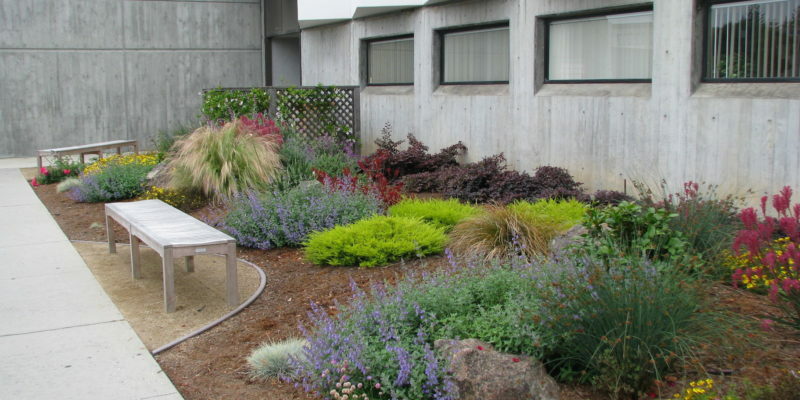 Dominican Hospitals native landscaping with armeria maritima, kangaroo paw, iris, carpet rose, New Zealand sedge, ornamental jasmin, and juncus. 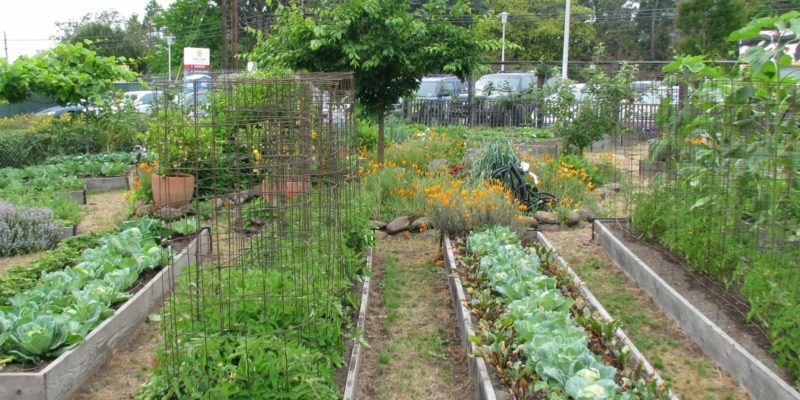 The Dominican Hospital harvest 2,000 pounds of fresh produce a year that is utilized in the hospital kitchens.